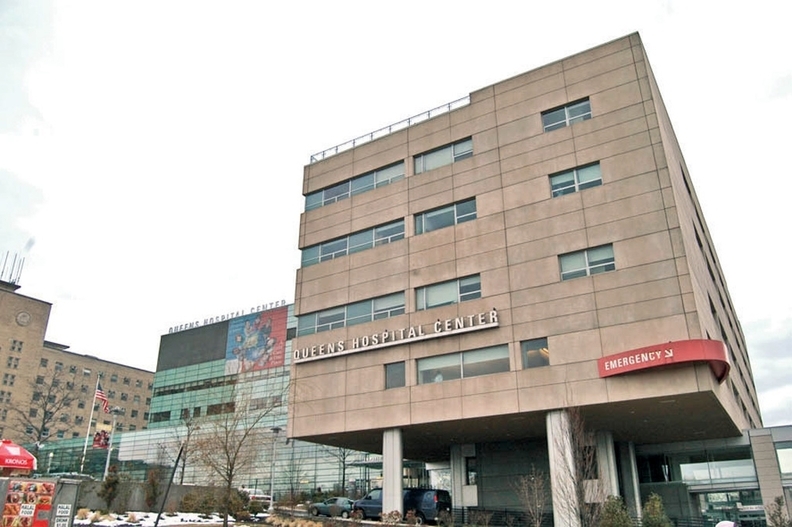 Queens Hospital Center is one of 11 hospitals operated by New York City Health & Hospitals. New York Mayor Bill de Blasio's administration Tuesday morning released a nearly $2 billion plan to transform the municipal healthcare system from one that treats the most vulnerable New Yorkers when they're sick to one that keeps them well. Key to that goal is stabilizing New York City Health & Hospitals' finances. The 11-hospital system, which has roots dating back to 1736, faces a potential budget gap of $1.8 billion by fiscal 2020. The funding represents a $700 million increase above prior commitments, including $100 million to be invested in the system's network of more than 70 outpatient clinics. In the 56-page report, titled "One New York—Health Care for Our Neighborhoods," the administration outlines 12 strategies that will strengthen the system, which serves an outsize portion of New York City's Medicaid, uninsured and undocumented patients. The plan centers around stabilizing the system's finances while making it agile enough to adapt to changes in the healthcare industry. One of those changes is the transition of care from hospitals to outpatient clinics; another is how hospitals get paid, which is increasingly based on the quality of care provided rather than the quantity of procedures or tests performed. New York City Health & Hospitals has lagged its peers in both those seismic shifts and relies on declining government subsidies to cover its deficits. The system expects a $600 million operating loss this fiscal year, which ends June 30. “Though community-based care cannot and should not replace hospitals, it is vital that New York City recognize that the current care model is over-reliant on emergency room service and uncoordinated episodic care, despite declining funding on the federal and state levels that is expected to total nearly $1 billion,” the de Blasio administration said in its announcement. To raise revenue, the plan also states that the city will "develop vacant and underutilized parcels of land on Health + Hospitals campuses." The report said that space could be developed into affordable and supportive housing, which could include community clinics and health centers. The degree to which the system succeeds in implementing the plan will determine whether Mayor Bill de Blasio can avoid a politically damaging chain of events that could include layoffs and hospital closures. Earlier this month, unions and politicians held a rally at City Hall to make it clear they would put up a fight if the city privatized or cut services or jobs at the public health system, which serves 1.2 million New Yorkers annually. The system addressed some of those fears in the report. "The city and Health & Hospitals is committed to no layoffs—and instead will rightsize the workforce by attrition and partnering with labor to retrain workers for areas of growth in our system and across city government," the report said. In a statement, de Blasio alluded to past hospital closures in the city. One of those shutdowns—Long Island College Hospital in Brooklyn—left de Blasio in handcuffs after he stood with unions and other protesters to fight a decision by the State University of New York to close the hospital. NYU Langone Medical Center now operates a freestanding emergency room near that site. “Over the past 13 years, 18 private hospitals have closed throughout New York City. This plan will not close any more hospitals or lay off any workers, but expand comprehensive health care, especially in high-need communities,” de Blasio said. “We are implementing long-term sustainable solutions, rather than a Band-Aid fix, to stabilize hospital finances and save our public health care system." Many of the initiatives echo sentiments expressed by H&H Chief Executive Dr. Ram Raju in a plan titled “Vision 2020” that he released last year. That report outlined an objective to increase revenue by attracting more patients to the system and growing membership in the system's health plan, MetroPlus, to 1 million by 2020. The health plan now has about 500,000 members. “By providing significant new investments to support our essential public health care system, the mayor's One New York plan will ensure we don't have the tale of two cities when it comes to quality health care,” Raju said in a statement. "New York mayor kicks off politically charged process of reforming city hospitals with $2 billion plan" originally appeared on the website of Crain's New York Business.